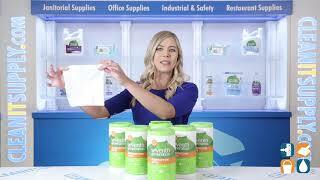 These pre-moistened wipes clean and disinfect in one easy step while killing 99.99% of germs botanically (see product label for details). 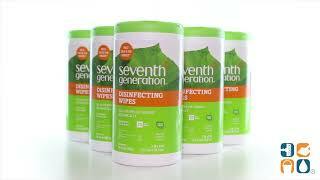 Seventh Generation Wipes are effective against cold and flu viruses. Deodorizes and effectively controls odors using essential oils. These botanical disinfecting can even be used on food contact surfaces without the need for rinsing or wiping. Plastic canister is made from minimum 25% post-consumer waste.